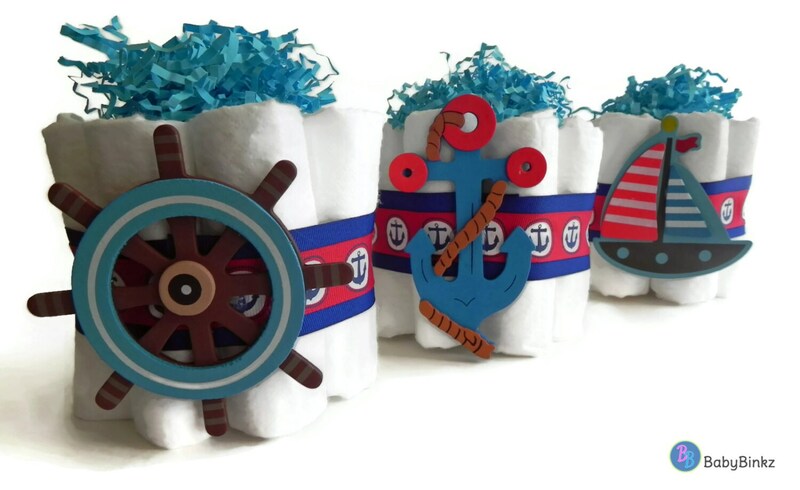 Save when you purchase these three Mini Diaper Cakes together! 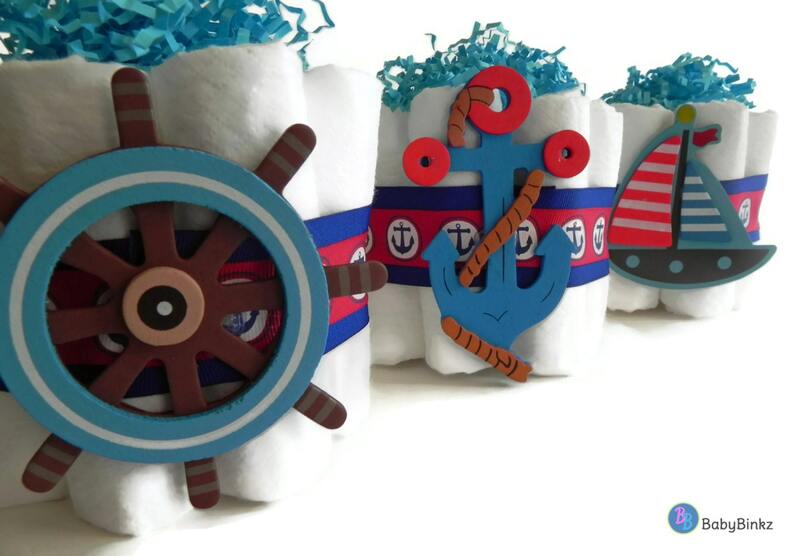 They will make the perfect Baby Shower decorations and centerpieces! Each Diaper Cake is handcrafted, and made with TLC in the BabyBinkz studio! All mini diaper cakes are wrapped in tulle before shipping. 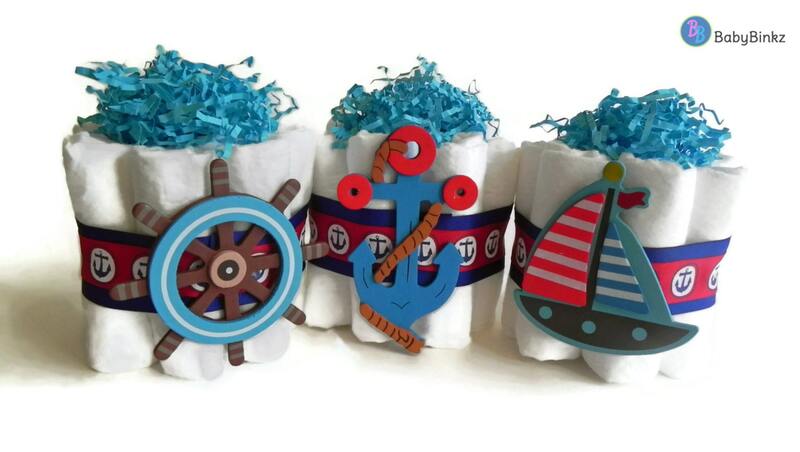 Diaper Cake Trios can be made to match any party theme! Please note: Depending upon inventory levels, ribbon colors / designs in the pictures may vary from our final products, but will always coordinate. Enter any special requests for colors in the note to seller at checkout!